Henning’s Market is a 5th generation, family-owned and operated, independent retailer located in Harleysville, Pa. 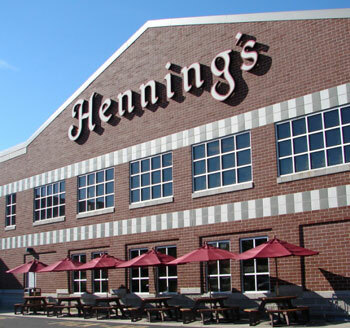 Since opening their doors in 1889, Henning’s has evolved into an upscale, gourmet market that focuses on providing the highest quality products for their community. Henning’s Market has over 57,000 square feet that offers beautiful ambiance with natural and organic products integrated throughout the store. Henning’s also features various specialty sections of gluten free products, raw foods, bulk foods, vitamins, supplements, & beauty care. Henning’s Market most recently expanded their natural, organic and fair trade products in the Health & Beauty area and continues to grow in all categories, including but not limited to: Specialty Cheese, Produce, Dairy, Frozen Food, Meat, Bakery and Grocery. Henning’s Market offers monthly Health & Wellness Seminars as well as monthly Specialty Cheese classes seeking to educate their community in these categories. Henning’s run 28 circulars per year that reach 60,000+ people in the surrounding area. 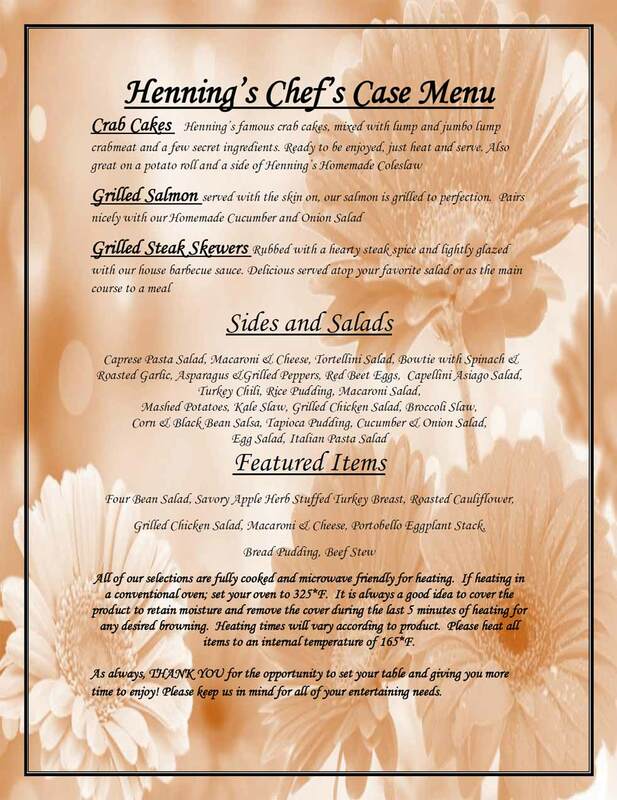 Henning’s has their own in-house demo team, passive demo programs, and participates in community marketing events that support their vendors and community shoppers. With seating available for over 150 people, including The Terrace (second-level seating overlooking the entire market), their Market Buffet offers a vast array of food choices, all prepared and cooked in-house by Henning’s experienced team of chefs. 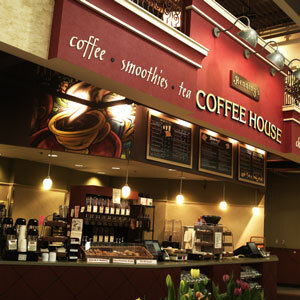 From their homemade, scratch Bakery to their full-service Coffee House that serves organic, fair-trade coffee, custom smoothies and much more – Henning’s Market is a destination shopping experience!